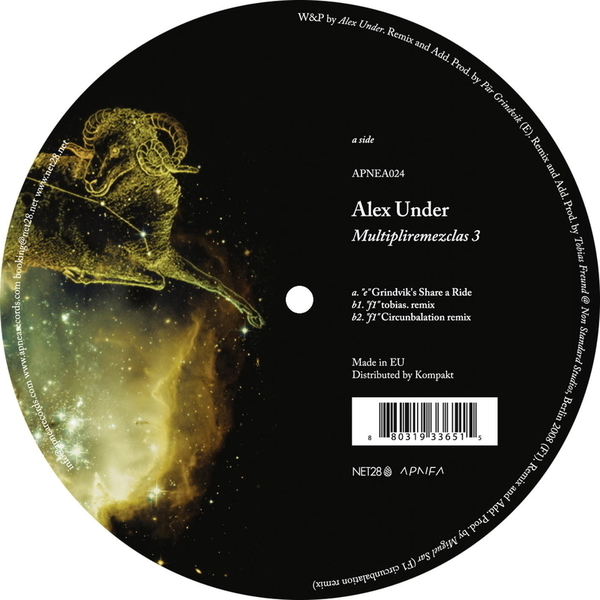 This EP draws on three remixes of Alex Under originals, getting started with the pummelling, filtered dub-techno of 'E' as ably overhauled by Grindvik. It's a sonically ambitious piece that manages to rein itself in sufficiently to remain a functional dancefloor tool, while Tobias is more straight-ahead in his single-minded, Latinised techno on 'F1'. Finally, the same track is approached from a different angle by Circunbalation, who comes up with some rewardingly strange sci-fi sound designs.